True monsieurs need not fear the classically cut wool blend double breasted blazer. Yet, for all the classic elegance of a well made DB, a simple law of style holds true- Honour thy fit. Fit makes everything look better. Too tight and you expose your physical flaws and spare tires, too loose and you look like you’re wearing your dad’s hand-me-downs. Cut just right and you have the makings of a look that looks like it costs a million bucks to put together. 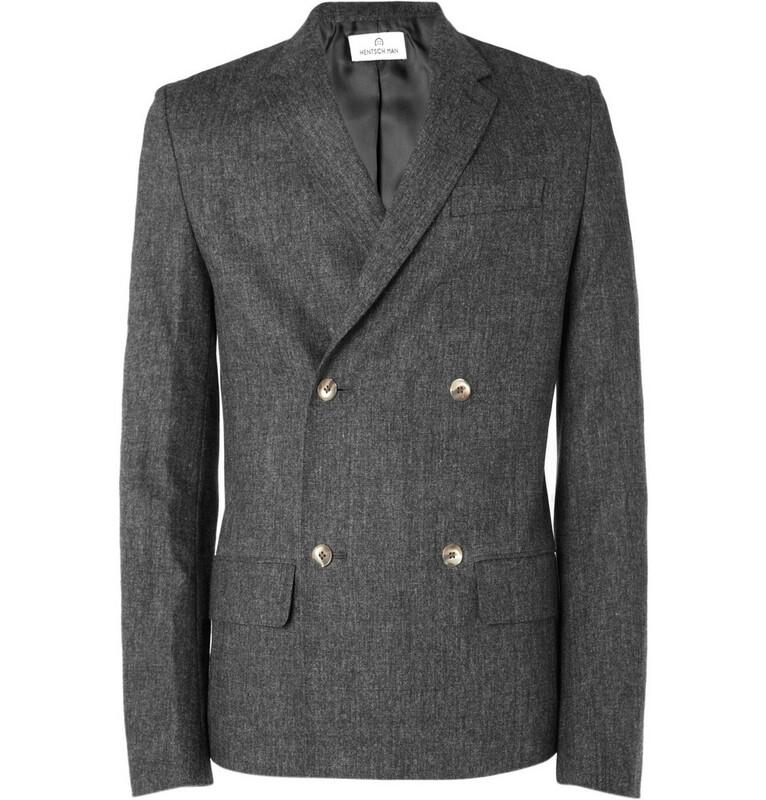 This Dark grey wool-blend double-breasted jacket from Hentsch Man costs significantly less than a million bucks. To be honest, at less than 500 quid, this four button closure with notched lapels and functioning cuff buttons is so cheap it’s almost a steal. More importantly, if you’re heavy set (I prefer to believe due to zealous daily gym work outs) like I am, the super slim modernist take on the traditional double breasted lapel cuts a rather dashing and petite figure on you sartorial saints out there. Expect to pay £392; Though Mr. Porter recommends black jeans- I feel that Khaki would look a lot more dandy wouldn’t you agree? [Shop here]. I feel that Khaki would look a lot more dandy wouldn’t you agree?